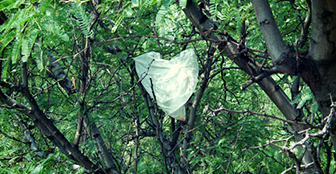 The US state of California has passed the first statewide legislation in the nation banning single-use plastic bags. The bags will be outlawed in grocery and convenience stores to cut down on litter damaging to the environment. Plastic manufacturers have challenged the move, however, claiming it will lead to the loss of thousands of jobs and allow grocers to profit from new paper bag fees. Larger grocers, including Wal-Mart and Target, will be required to comply with the law beginning in July 2015, while convenience stores and food marts will have until July 2016.